There are 2 main types of scoliosis -functional scoliosis which is a result of muscular imbalances, or leg length discrepancy, and structural scoliosis which generally has an unknown cause usually linked to genetics, birth defects or certain diseases. the lower extremities which can cause difficulty walking. 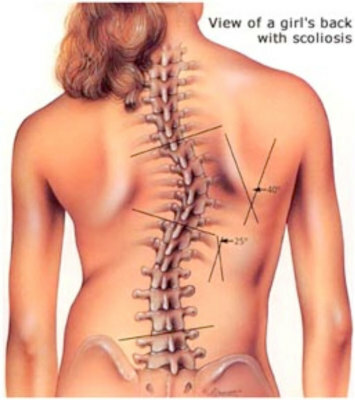 Functional Scoliosis can be treated and return the spine to normal alignment. 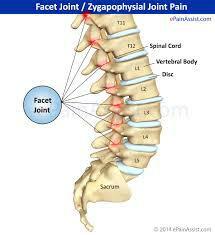 Facet joint syndrome also known as facet syndrome and facet joint sprain, is a common cause of back pain. Injuries to the facet joints can have many causes, but essentially it is a sprain and as such, it is caused by excessive movement causing damage to the joint capsule, which in turncause swelling, inflammation and pain. Most injuries are caused by what is calledrecurrent micro-trauma, it means many small repetitive injuries, until the proverbial 'last straw'. That is why people often hurt themselves doing very trivial things such as bending to pick up a pen, and they hurt themselves before they even get to lift the pen. Fortunately, bulging, slipped and herniated discs can be both reversed and prevented with Myotherapy treatment and self care education. Osteoporosis is a condition where bone conditioning deteriorates to the point where they become fragile and are easily broken. This is often related to the natural ageing process, where bone density is not continually replenished, or in the case of females at the onset of the menopause – where hormonal changes can often lead to the condition. Myotherapy is not a cure for arthritis and osteoporosis, but it will provide temporary relief from pain and improve the mobility of joints and muscles affected by arthritis. 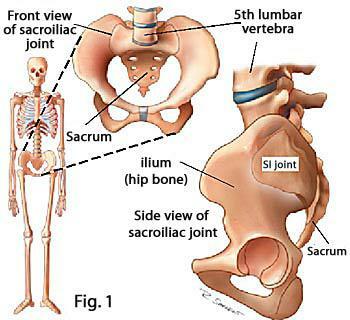 The sacroiliac joint is the joint between the sacrum and the ilium. The Ilium is the correct name for the two moon shaped bones that make up your pelvis. The most common symptom of sacroiliac joint dysfunction is pain. Pain in the sacroiliac joint can be sharp in nature, or a dull aching pain. 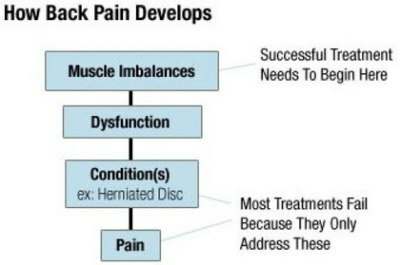 Patients often experience pain in the lower back or the back of the hips. The sacroiliac joint can refer pain into the buttock, groin and all the way down the outside of the thigh and even into the lower outer portion of lower leg and foot. 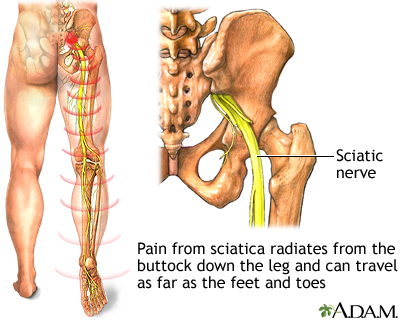 Sciatica is caused by compression of the sciatica nerve or the nerve roots that [Sciatica] form the sciatic nerve, as they leave the spine. 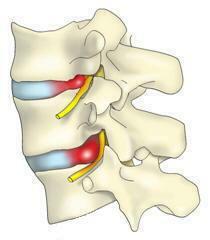 Several structures are capable of compressing the nerve, however, it is most commonly caused by disc bulges otherwise known as protrusion, herniation, extrusion and sequestration. Numbness, tingling, burning or sharp shooting pain, weakness of the muscles in the leg and foot. Typically, symptoms are referred from the back and are felt in the buttock or hip, down the thigh and below the knee. Pain and other symptoms may be constant or intermittent and are generally aggravated by forward bending movements. 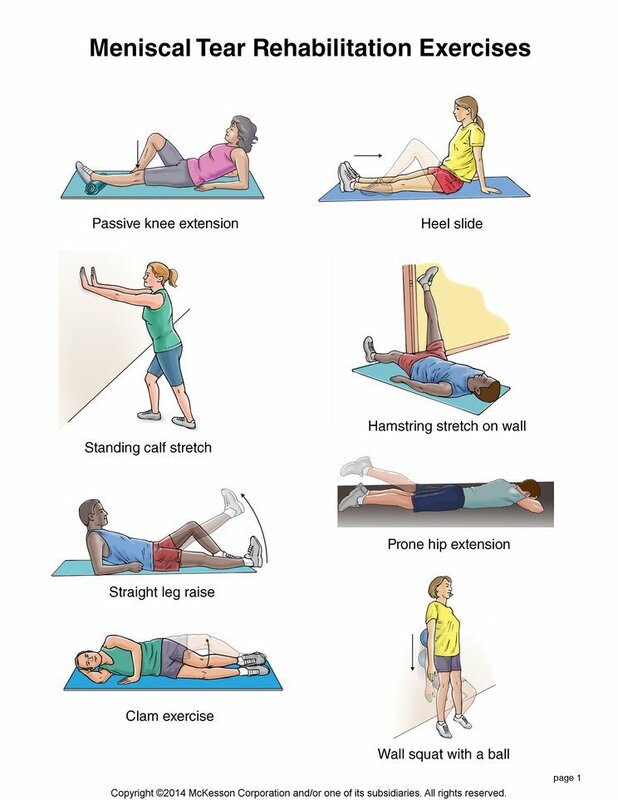 Gluteus medius tendonitis (sometimes spelled tendinitis and pronounced 'tendinitus') is an injury where your gluteus medius tendon is irritated or inflammed. You will feel this irritation, swelling and inflammation when there is a strain, damage or micro-tearing to the tendon tissue. This injury can happen from overuse of the tendon or an accident of some kind. Pain can easily be transferred to other areas of the hip, thigh, lower back or buttock. Sometimes pain can even shoot down the side of your leg. 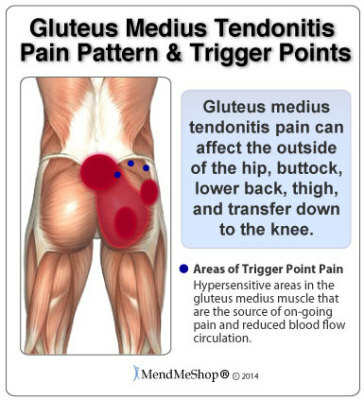 If left untreated, gluteus medius tendonitis can turn into a chronic condition or degeneration of your tendon fibers.